There’s not a lot to say about these two days accept work, work and more work! This Thursday and Friday we dedicated almost exclusively to producing the large model flower and bee for the Fascination of Plants day and Festival of Nature. Below are some photos of our work in progress. 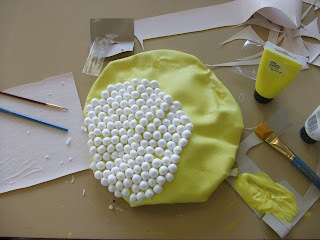 I was tasked with making all the flower's petals which I managed to complete on the first day. 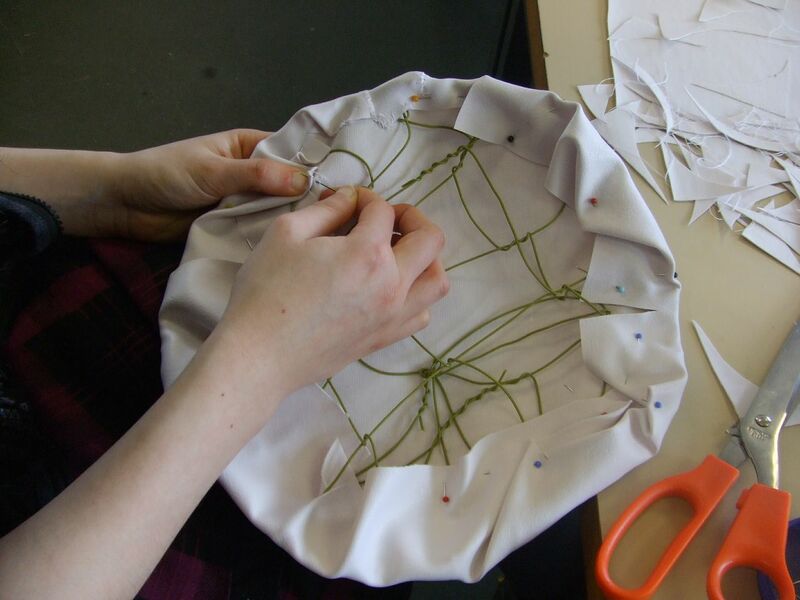 Every petal had to be painstakingly cut out, machined and then hand stitched to give a ruffled effect. 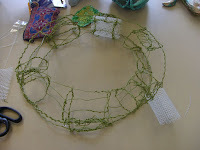 Jessica made a wire frame for every petal which could be inserted inside so that they could all be internally connected and not flop. 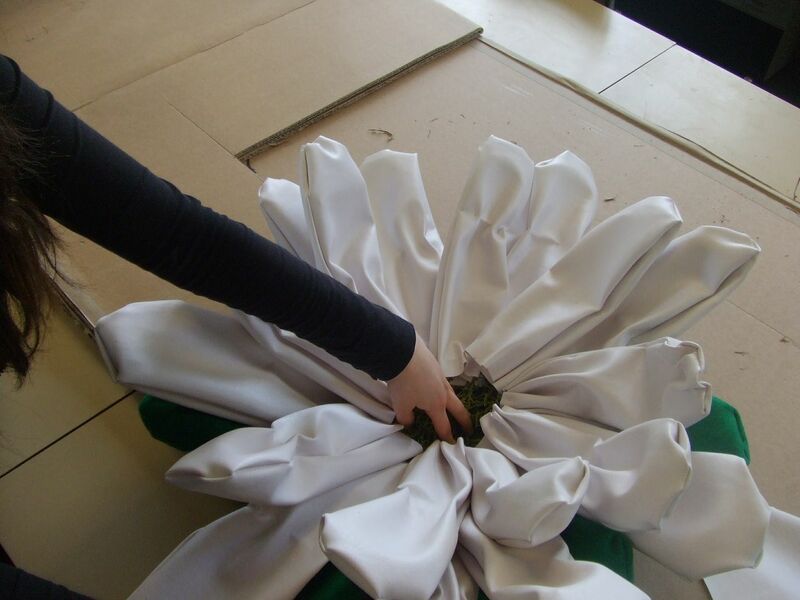 Here I'm applying some pressure to the flower’s centre to make the petals stand more firmly. We'll have to find a way to devise this look permanently when all the flower parts are finally attached together. The UV paint arrived on Friday and so we did start to use it to paint the petals, however, it was unfortunate that despite our efforts the paint did not take well to the petal’s surface. It did disappear and caused barely any change in texture which is what we wanted, but as the petal material was not at all absorbent the paint was very reluctant to stick to it, giving some very ugly paint streaks rather than a smooth covering. 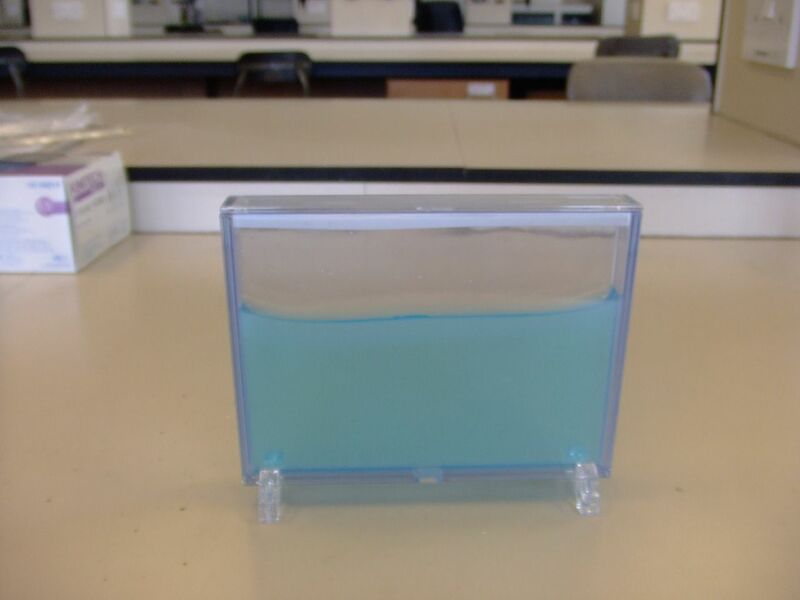 Furthermore, we only had a small UV torch to help us see where paint had been applied and it didn't work too well to show up the colour, therefore we were left to mostly paint away blindly. Also, we hope it’s not the same under a UV black light, but the colour seemed to be more pink than red which was a little disappointing. 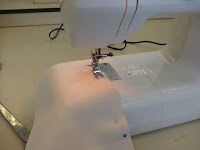 We decided to give this task a break to see if we could devise a more practical way of doing it later. Jessica took on the responsibility of producing all the underlying wire structures. She also made this stand. 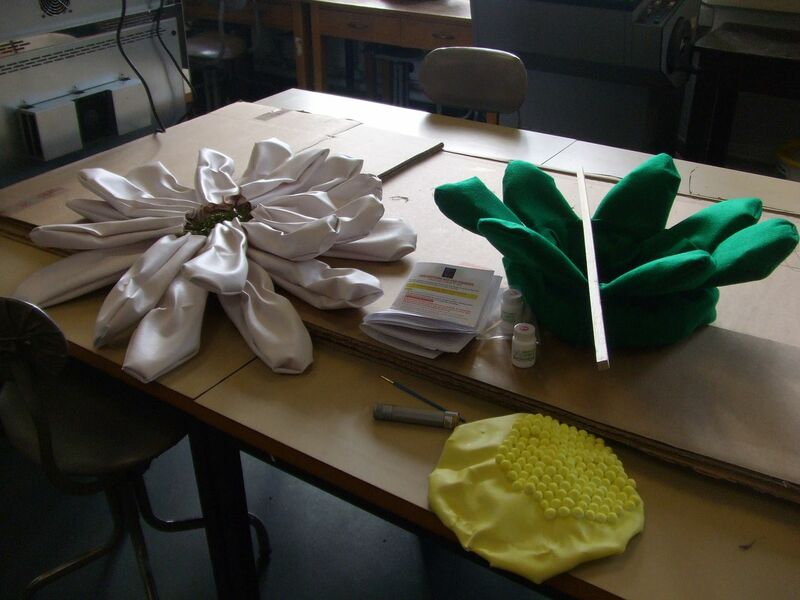 On the left is the wire structure, the right the finished stand which is covered with felt. It's designed to be able to contain a small heater so that the flower will show on infra-red cameras as well as in ultra-violet light, again replicating a real flower. 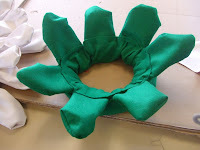 Here I'm making the flower’s centre. 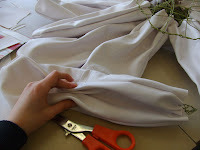 First of all I sewed some of the left over white material to a wire structure made by Jessica. I then painted the surface yellow and cut in half many small polystyrene balls so that they could be stuck to the surface to mimic the bobbley appearance of a daisy's centre. Unfortunately, we grossly underestimated how many we would need, so we'll have to buy more later. At the end of the two days this was our progress so far on the flower part of the sculpture, we will be continuing next week. 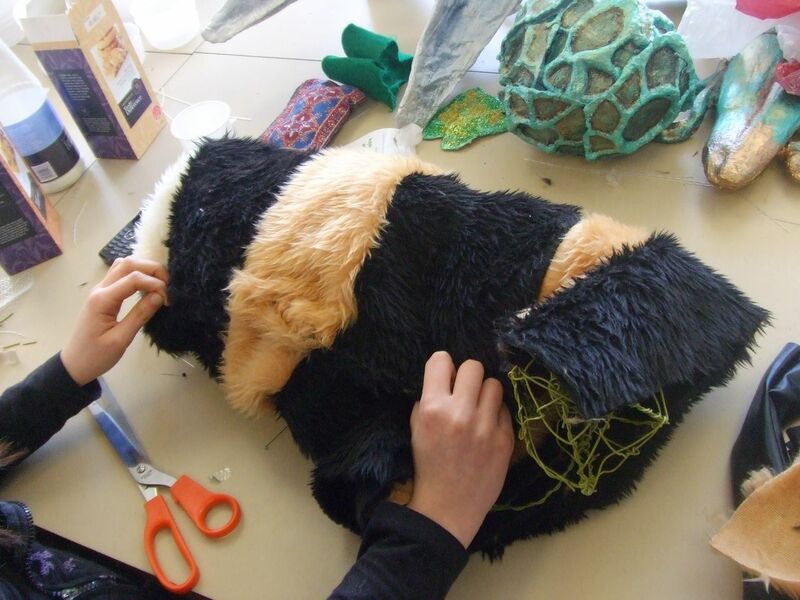 As for the bee, its fluffy body was cut out and sewn. 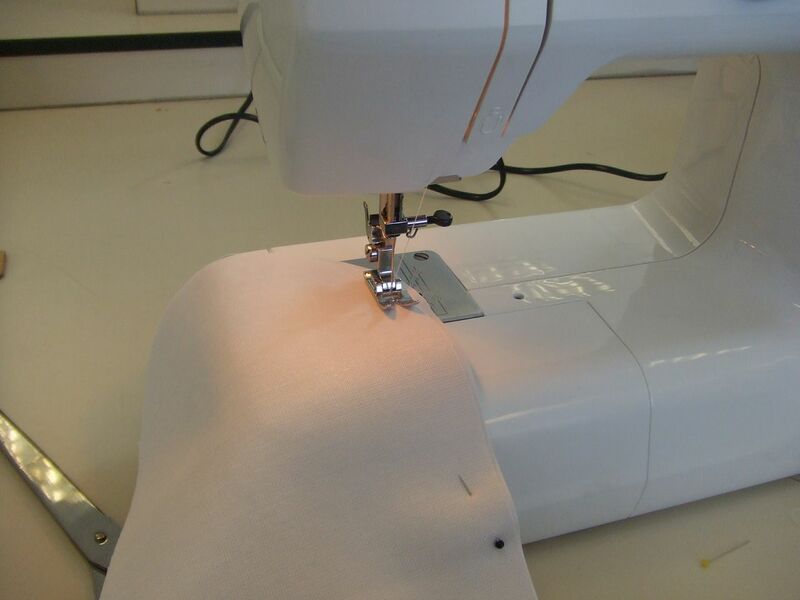 We decided to discard the internal wire structure this time as it was becoming a bit of a hindrance, and instead decided to opt for stuffing it with the left over fabric. 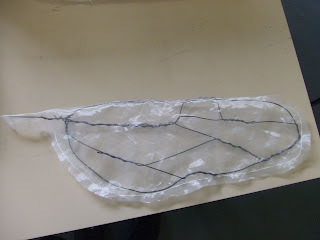 We also started making the legs and a band for the middle to distinguish between the bee’s abdomen and thorax. Here is one of the bee's wings made from wire and a light, transparent fabric. 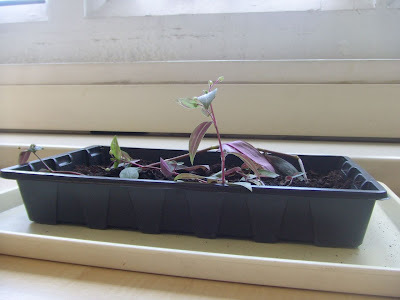 As well as constructing the flower, a few other things happened in the last couple of days. One was that the ants finally arrived and we put them in the farm. The instructions however did say that the ants would not start burrowing for 48hours, so we’ve yet to see any progress. We'll return to check on them next week to see how they're doing. 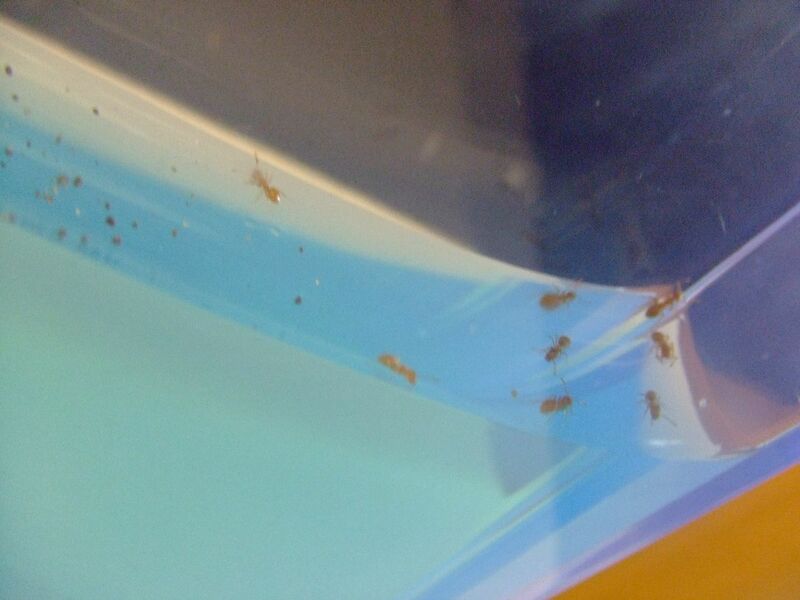 The ants exploring their new home. 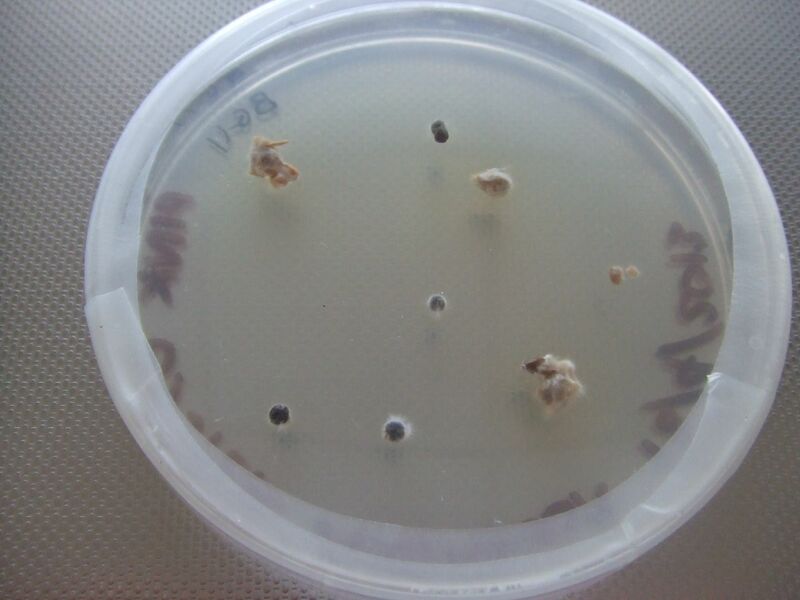 The fungi in the agar plates also appeared to have started growing. And lastly, our plant from the botanic garden seems to be stretching towards the light!